Before I share today’s recipe, I just wanted to thank everybody who read and commented on my last post containing my thoughts about blogging. Those thoughts have been marinating in my mind for some time now, and I briefly wrote that I was initially hesitant to write about them in the first place. At best, I was worried that some people would think that I was knocking their careers and chosen professions as bloggers. At worst, I feared folks would call me hypocritical (since, after all, I monetize my blog and benefit from all the same sponsorships and networks too). But not publishing the post for fear of upsetting people and losing followers would have been the exact opposite of what I advised people to do, so I took a deep breath and hit “publish”. Since publishing the post, I’ve received a number of comments and emails from other bloggers sharing their own experiences. It’s been wonderful and eye-opening reading everybody’s take, and it made me realize that what I wrote about was a pretty universal experience for bloggers. If anything, it made me realize that we need more opportunities to talk about the behind-the-scenes stuff and about the doubts and fears we all share. I don’t know exactly how to provide that (and, quite frankly, it’s kind of asking a lot from a food blog), but hopefully taking more risks will eventually pave the way for such opportunities. Speaking of taking risks, the recipe I’ve got for you guys today is one that I’ve kept near and dear to my chest for fear of alienating some of my audience. Black sesame and goat milk aren’t exactly the most accessible ingredients, although black sesame is a staple in Asian desserts. Usually black sesame appears in subtle desserts like panna cotta or pudding, often accompanied by lots of honey, syrup, or sweetened condensed milk to take its slightly bitter edge off. My favorite kind of black sesame desserts, however, are ones that are un-subtle and un-delicate in flavor. The kind that, where if you take a bite of it, there’s no hiding that black sesame at ALL. And that’s exactly what’s going on with these rolls; you’re not gonna find a “light, floral touch” here — there’s no mistaking the nutty, toasty and almost woody flavor from the sesame. And that’s because they’re filled with nothing but butter, sugar, and black sesame seeds; there’s nothing there to distract or take the edge off the main star of the dessert. Well… except maybe the goat milk. Since I’m mildly lactose intolerant (though in severe denial about it), I’ve been playing around with goat milk as a substitute for regular milk. When I bought my first bottle, I’d envisioned it to have a flavor similar to kefir — tart, and almost yogurt-y. My imagination ran away, thinking that using it as a substitute for regular milk in baked goods would give the final product a subtle tangy flavor, similar to using sour cream or yogurt. I was more than disappointed to find that goat milk kinda tasted like... well, regular milk. But goat cheese? Whole other story. Turns out that you can easily replace cream cheese with goat cheese in almost any recipe, giving you that awesome goaty, farmy taste. This goat milk glaze is more technically a goat cheese glaze, with that unique farmy goat cheese flavor playing very, very well with the black sesame, adding tang to all that toasty goodness. 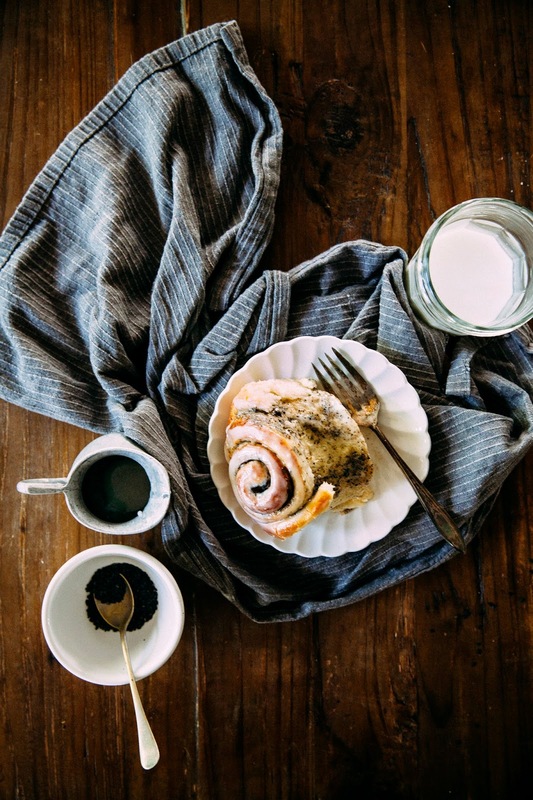 And of course, if you’ve been sitting there wrinkling your nose this entire time, you can always, always just go with a more traditional cinnamon sugar filling and a cream cheese glaze. Which is always good too. But I promise you’re missing out. Black sesame seeds are available in the bulk sections of fancy grocery stores like Whole Foods and Asian supermarkets. You can also find them online. I let the dough develop overnight in the fridge because I found that the slower rise brought out more flavors in the bread. I also liked breaking up the work into two portions, so it doesn’t feel like you’re just sitting around waiting for things to happen foreverrr. But if you’d like to just get it all out of the way, no worries! After kneading the dough, allow the dough to proof for about 1 1/2 hours in a lightly greased bowl covered with plastic wrap. During this time, it should double in size — after it's done so, follow the instructions in the recipe to roll out and re-proof the rolls a second time. If you don't have a deep-dish pie pan to bake these rolls in, you can also use a 9 x 13-inch baking pan or sheet — simply lay them out in rows of 3, spacing each about an inch or so apart. They actually bake more evenly and consistently this way (but I liked the look of the rolls baked in a pie pan 'cuz I'm a sucker). 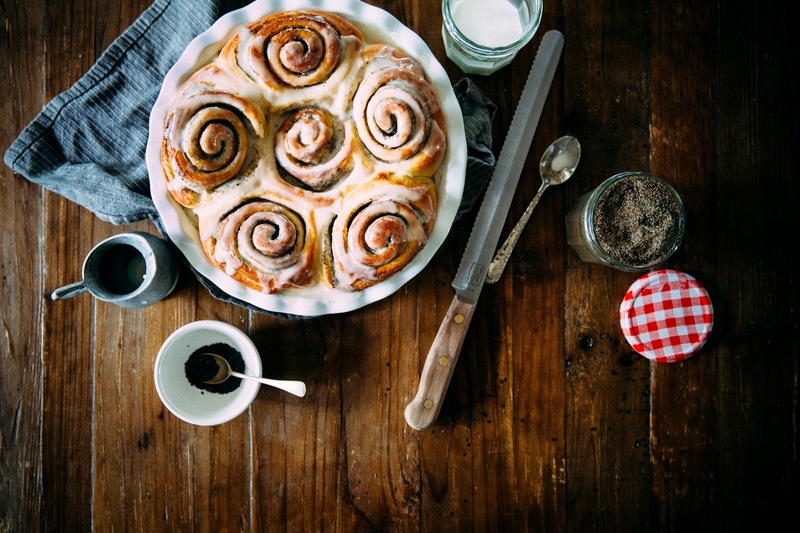 The recipe starts by instructing you on how to make black sesame sugar using an oven and a food processor, thanks to this utterly genius recipe by Mandy of Lady and Pups. The recipe will make slightly more than what's needed for the rolls, and you can store whatever's leftover in an airtight container in the fridge for up to 1 month (similarly, you can make the sugar in advanced for up to 1 month). It's important to refrigerate the sugar since black sesame seeds have a ton of oil in them and go rancid fast. However, my leftover sugar never lasts that long — I often find myself reaching for it and stirring it into my green tea or coffee. Spread 1/4 cup black sesame seeds evenly across a baking tray, before placing inside the oven. Use a heatproof rubber spatula to stir and toss the seeds every 3 to 4 minutes to ensure that they're being evenly heated, baking for a total of 15 to 17 minutes. Towards the end, the seeds should turn a light brown color and start to steam and smoke. To check that the seeds are ready, rub a seed between your fingers. The seed should shatter and crush easily into smaller grains, emitting a nutty and fragrant smell. When the seeds pass this test, immediately transfer to a cooler plate on a wire rack to prevent any burning. Once the seeds cool off completely, transfer to a small bowl and whisk in 1/4 cup granulated sugar and 1/4 cup dark brown sugar. Divide into two batches and pulse half the mixture in a food processor until finely ground; the mixture should resemble super-fine cornmeal. It took my food processor around 20 seconds of pulsing to achieve the desired texture (which you can see in the jar in the pictures above). Repeat with the second batch. DO NOT PULSE IN ONE BIG BATCH — otherwise, you risk the seeds turning into a butter instead of sugar. Transfer to an airtight container and refrigerate until ready to use. In a large bowl, whisk together 3 1/2 cups all-purpose flour, 3 tablespoons granulated sugar, 1 1/2 teaspoons instant yeast, 1/2 teaspoon baking soda, and 1 teaspoon kosher salt. Set aside. In a large liquid measuring cup, whisk together 1 cup buttermilk (warmed to lukewarm — remember that yeast is a living thing, so it's important not to kill it by warming the liquid too much; you want the temperature to be similar to that of a warm bath and no more), 1 large egg, and 1/4 cup vegetable oil. Set aside. Once the dough has doubled in size, transfer to a lightly floured counter and use a rolling pin to roll into a rectangle about 8 x 20 inches. Pro tip — the longer your rectangle, the more attractive your rolls will be! Try and make that 20 inches work. In a small bowl, whisk together 3 tablespoons melted unsalted butter and 1 tablespoon honey Use a pastry brush to brush the rolled dough with the butter and honey mixture. Sprinkle heavily with 1/3 cup black sesame sugar and 1 teaspoon ground vanilla powder. For more attractive rolls, make sure you sprinkle the sugar and spices evenly and completely over the rolled out dough, including the edges. Working widthwise, roll the dough into a log, pinching its edges to seal. Cut the roll into 6 pieces, each about 2 inches wide. Place cut sides down on a 9-inch, deep dish pan in a flower shape. Cover with plastic wrap and let rise in a warm place until the edges of the roll are rounded and touching, about 1 to 1 1/2 hours. Once the rolls have risen, preheat the oven to 350 (F). Bake the rolls in the preheated oven for around 30 to 35 minutes, or until the edges of each bun are golden in color. Baked in a pie dish, i's a little hard to tell when the buns are fully baked on the inside. The best way to do so is to stick a skewer inserted in the center bun and see if it comes out clean, without any dough. If the tops of the rolls start to brown too quickly, cover with aluminum foil and continue baking until a skewer comes out clean. Let cool on a wire rack. While the rolls are cooling, make the goat milk glaze. Combine 3 ounces softened goat cheese, 2 tablespoons goat milk, and 1 teaspoon ground vanilla powder in the bowl of a freestanding electric mixer fitted with a paddle attachment and beat on a low speed until combined. Add 1 1/2 cups confectioner's sugar all at once and beat until fluffy and of drizzling consistency. 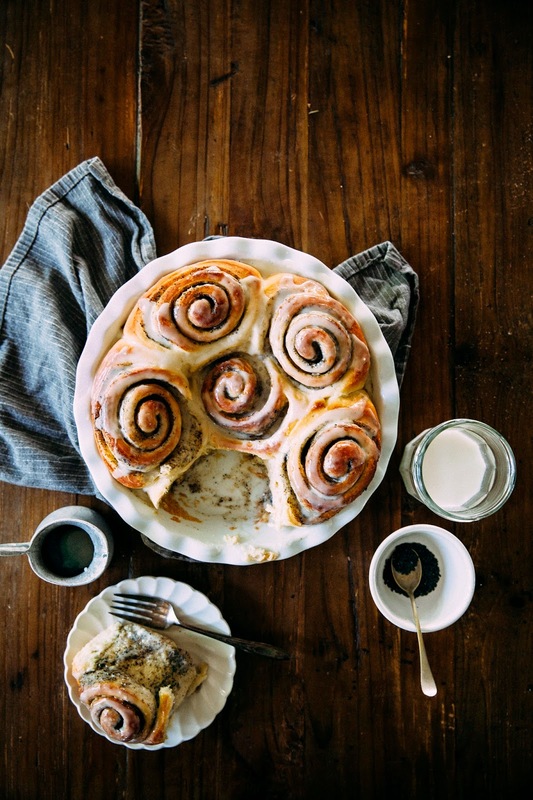 Use immediately to drizzle on top of each cinnamon roll while the rolls are still warm, using a rubber spatula or butter knife to spread out the glaze. I love that you went assertive with these flavors--more things should have black sesame, it's so tasty and pretty! Plus, I'm a sucker for goat cheese any day. I'm so glad we got to chat about blogging and I can't wait to do it again, soon! dannng black sesame sounds awesome. I'm so excited to try this — my love of goat cheese (and all its variants) knows no bounds. And the black sesame sugar sounds divine! I'm newly into goat cheese too! At first I thought it tasted too weird and farmy, but now I'm really into it. Blue cheese, on the other hand, I still hate. I have a ton of black sesame sugar leftover, I'll bring you a jar, lol. Oh man, I can't wait to make these! I probably will for Easter Sunday. :) Lately I'm really loving sesame in desserts (I also adore it in granola and in the crisp filling of a baked apple). Looking forward to trying that goat cheese glaze tip since, um, I love goat cheese in everything! Goat glaze! That sounds super interesting. These also look AMAZING> I need a bun asap. Anyway, glad you got such a positive response to your last post and I'm so glad you decided to hit 'publish'. Yum! Sesame seeds in apple crisps? That sounds amazing. Can't wait to give that a try, thanks for the tip! Gah, I'll text you the next time I have some! Thanks Kelsey! FYI -- I think I saw some black sesame seeds in the bulk department of Whole Foods recently? Maybe? I could also be making that up, lolz. Thanks- I'll check next time I'm there :) Otherwise when I'm in Chinatown I'm sure I can find it! Oh hahah yea. Chinatown will for SURE have some and they will be much, much cheaper! I'm not that familiar with the flavor of black sesame... But somehow I can taste this in my head and I think I'd enjoy it. Plus with all of that extra butter and sugar and doughy goodness happening around it, what could go wrong? And thanks again for your post last week. It helps me to know that someone like you (whom I consider to be a "big deal blogger") is dealing with similar struggles that I am. These look yummy! The black sesame sugar filling looks kind of what we are using a lot for filling sweet doughs in Austria: ground poppy seeds and sugar. Thanks! I'm embarrassed to say that while I LOVE goat cheese and will do just about anything with it, I've never tried black sesame. Clearly that needs to change. Umm...everything about these is awesome. That filling, that glaze!! SQUEE! I want a few of these with a very large cup of tea. I love the use of goats milk and goats cheese. I'm also in denial of my lactose intolerance and I've thought about goats milk before, but I have that "but it's GOATS milk" voice in the back of my head that stops me from trying. I do eat goats cheese though, cause I'm weird like that. I love black sesame and feel it needs to have more chances to shine! My moms friend used to make this really interesting dessert with black sesame and I have no idea what it was, but it was good. I actually saw black sesame at Target, so it is getting easier to find. Ooog, ground poppy seeds and sugar? That sounds delicious. Will definitely give that a try the next time I make buns! Yesss. Black sesame is the best! You can find some at Fubonn for pretty cheap. Goat milk really doesn't taste all that different from regular milk... I was actually a little disappointed, lol. I was hoping that it would taste more like goat cheese! Yessss! Adding it to my Fubonn shopping list. I was JUST looking for black sesame seeds at Safeway the other day! Thanks for the Whole Foods/Asian market tip. As oddball as these flavors are, these rolls sound absolutely delicious. 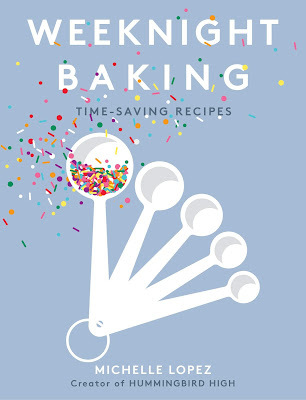 Perfect for a rainy day baking activity. DREAM IDEA: we plan a retreat (in beautiful Portland) where food bloggers can go to kvetch about these things, and discuss our problems. We might even be able to come up with some agreement and solidarity on what's cool to do and what's not. 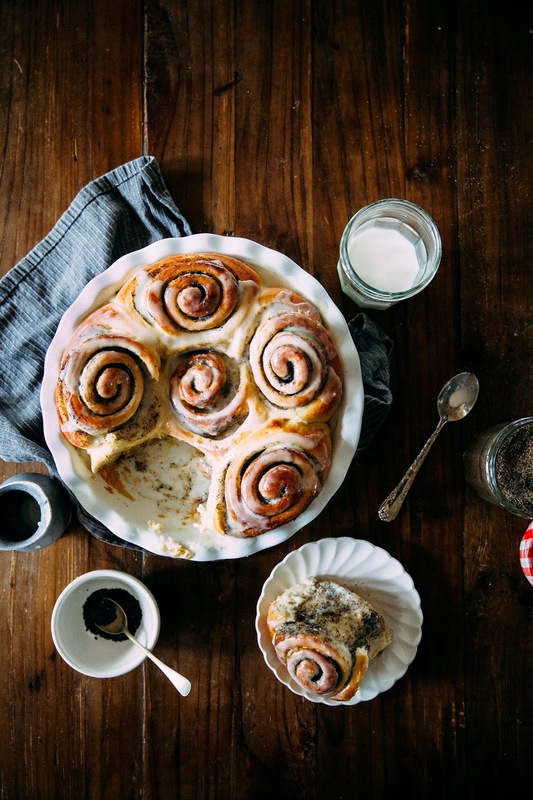 And even if we don't, at least we'll be able to chill out, stare at a fire and eat THESE BUNS! Did I mention that you have to bring these buns? I LOVE goat's milk, and black sesame AND buns! I've never tried black sesame! But I'm obsessed with halva and seeing all these black sesame recipes lately has gotten me thinking that a black sesame halva would be divineee! Either way, I'll have to try it. These rolls look so good! Love that first picture. Oh Michelle! I knew from the moment you instagrammed these that I would fall in love with them. You already know how much I love your roll recipe, and this... goat cheese and black sesame? you are after my heart <3. Plus.. black sesame panna cotta?? girl, you tempt me. Black sesame seed RULE and the rolls RULE!! Thinking of making them for Easter Brunch in Florida! They look simply perfect! Ooh, I didn't know Safeway had them! Good to know! Black sesame halva sounds AMAZING. Well, remember when you posted those matcha black sesame rolls, and I told you that I was working on my version of black sesame rolls? These babies are it. I ended up using goat milk/cheese instead of malted milk, because, well, YOLO? Thanks Tieghan!!! I really hope you get a chance to make and try them; they'd be perfect for Easter! Let me know what you think! I swear Michelle you rock when it comes to sweet glazes! These photos are beautiful, Michelle! Your rolls look utterly perfect, and they sound incredible. I'm a huge fan of goat cheese, but haven't yet tried a dessert with black sesame. seeds/sugar. Yeah, that's gonna change soon... If I can't find them locally I'll order them online. I haven't experimented with a new ingredient for a while, and this one sounds amazing. These sound incredible Michelle! I'm not sure I've ever used black sesame seeds (damn the ubiquitous white seeds...) but I'm determined to track some down. Also that goaty farmy taste = pretty much the best thing in the world. 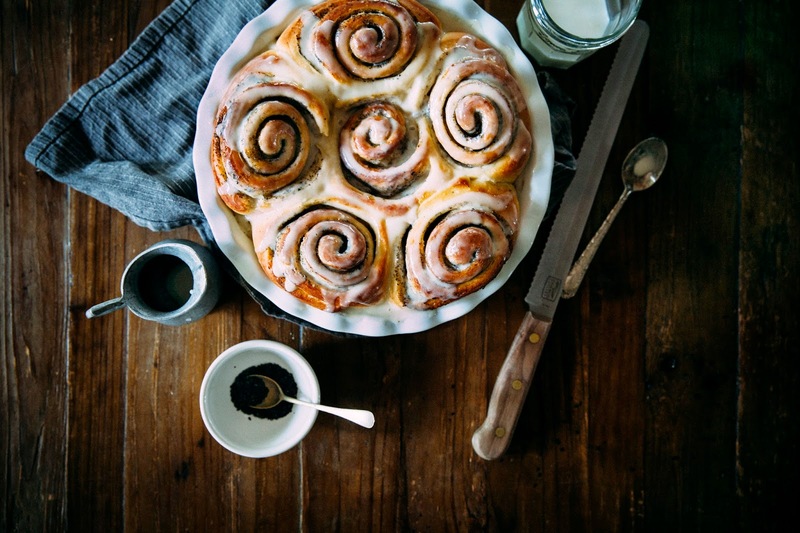 you're getting a virtual high five from me for making not only delicious and fluffy rolls but making a goat milk glaze over top that is to die for! I tried black sesame paste for the fist time a few weeks ago at my work and I was totally blown away. It's nutty and toasty and rich but so different than I expected! One of the chefs used it in a panna cotta with tapioca pearls, lychee gel, lime-marinated pineapple, black sesame micro sponge, and a white sesame tuile and it was aaaawesome! So now I have a newfound love for black sesame seeds and therefore these rolls! Thanks Belinda!!! Your pull-apart loaf sounds amazing; looking it up now! For sure! When I was a kid though, I hated them but now I LOVE them. I think it's like beer or wine... you have to grow into the flavor? Thank you, Dini! Also, yesss I hope you make these rolls with your freshly bought black sesame seeds. Let me know what you think! Omg, that panna cotta sounds amazing. Will you recreate it for your blog??! Ooooh yay for this combination! Not something I've been thinking about, but they look amazing and since I'm be the biggest goat cheese fan ever, this can't be anything but delicious. And I think you are doing an amazing job and that publishing that previous post was a very good thing. Whoa... these sound AMAZING! And overnight? BONUS! Aaah I don't think so! It was this chefs idea completely and he executed it himself and everything so if I stole it and made it on my blog, I'd feel like a big phony! I'm pretty sure you're a genius. oh my...these look SO delish!! and absolutely in love with these gorgeous pictures. GAH! So happy you wrote about this! I've been whining about "the bug" for some time now and totally freak out when a post has less views or something, also I feel i've lost a bit of my style while wandering around insta and pinterest. I totally agree! I think if we're afraid of truly posting what we like, then we become average, and that's scared me more than not having 100 likes on a photo. Also: THAT CAKE OMGGDSN. Cheers from a fellow recovering-from-the-bug fellow. Hi Michelle! You were too kind earlier! 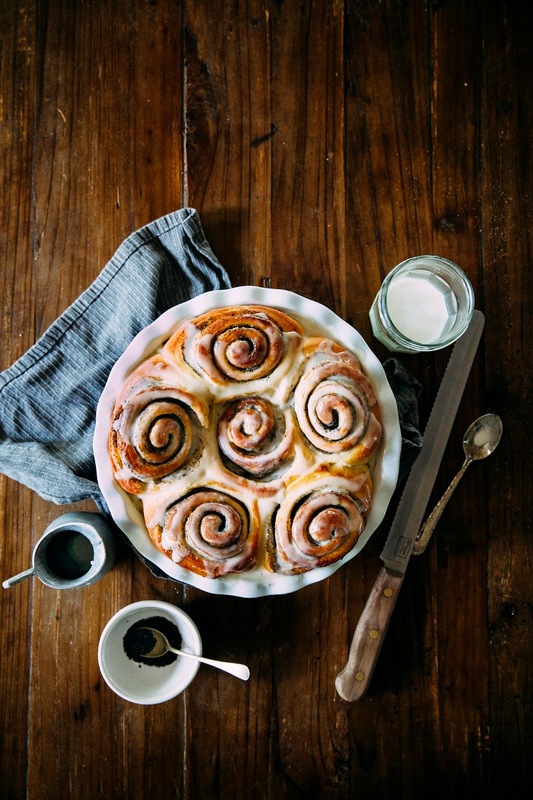 These photos are gorgeous, I love any kind of rolls + glaze, and these rolls look like they could just be plucked out of my computer screen and devoured right now. I have actually been reading your blog for the last month or so, but I'm so bad at commenting (meyers-brigg tells me I'm an istp) as meeting new people, even online, makes me super nervous, stupid I know. I will definitely be going to the event since I live in new york so I'll see you there!! So excited to meet you! Thank you so much Renee! Congrats again on making it to the Saveur finals! You deserve it; your work is so, so gorgeous! Yummmm. I've been wanting to make a goat milk cheesecake for a while now; I'm waiting for strawberries to come into season since i think they'll make a great pairing! Hahaha, I know how you feel Thea! I have so many recipes bookmarked and pinned to try, I don't even now where to start! Hahha, I like your pun! I can't wait! I spent an hour earlier just getting lost in your blog. Your photos are gorgeous and all your recipes sound amazing! So glad to have discovered you through Saveur; I'm excited to meet you too! Thank you for writing this! I read this entire post and found so much comfort in someone else saying the exact words that filter in and out of my head as a blogger. It is so hard not to get caught up in it all sometimes. I hate catching myself working on recipes just because I think they might be popular and not just creating from the heart. Or limiting my Insta pics to whatever looks good together when you go to my profile (that went out the window when I had my baby boy - now it is half pics of him, lol). However, your work is beyond amazing and always be recognized and celebrated to the max. Plus, I thoroughly enjoyed your travel pics - that one hotel with the pool on top?!?! Stunning. Not as stunning as this cake though. Some of the most gorgeous pics I've seen!!! I want to lick the screen. I love this. I was waiting and waiting for this recipe, and then I missed it. I can't even believe that happened. And it really is everything I had hoped it would be and more. I also love that you're slightly lactose cause I am too and am sitting in the denial boat with you. Bookmarking these cause black sesame and goat milk make me do a happy dance. I've never had black sesame bubble tea, but you don't have any idea how badly I WANT IT. I saw some in Singapore a few weeks ago and I still regret not buying a glass to this very day. Haha, well, you eventually found it so yay! Also I love that we are both in denial about our lactose intolerance. Can we go get some ice cream when we're in NYC and then eat only half because it'll upset our stomachs? Wait, is that just me? OMG YESSSS. I always ask for a kid's cup so that I don't over eat and leave feeling sick!!! I totally agree with a lot of what you discussed! It is very difficult not to get caught up in some of those things, especially as you grow in the food blogging industry. For example, I beat myself up because I was losing followers on IG when I posted pictures of my baby nephew!!! And after some time, I was just like "f*** it, he's cute and I'm posting it" --> HA! Ooooh, I need some!!!!! These look totally amazing. I'm late to the controversy party so I'll keep this brief. As part of my academic studies, I wrote a blog/essay that discusses the transition of food from survival to a form of entertainment chronicled from the ancient egyptians to the modern food network. It's no surprise that themes within the entertainment media have surfaced in food blogging, such as sexism, narcissism, and overt criticism. It's natural that feelings of self-censorship have emerged within the blogging community. The mass consumption of "food media" has fundamentally changed how we eat food, so that we no longer consume an idea for a recipe, we consume the lifestyle and image the recipe promises us. To get even more "meta" about it, we may also consume the image of being the blogger living the image we feel we should also be living. Helen Rosner make a great point - bloggers construct identities which they use to sell their products/ideas/lifestyles. Readers consume the identities, not the recipes. other people’s stories, I find it very inspiring. And this cake looks so GOOD I wouldn’t mind a big slice right now :). What a wonderful post!! And it shares so many of my feelings that I am glad you wrote them down. I recently baked and decorated a cake just for the fun of it..the therapeutic value it brings me and I enjoyed it! Then I took a step back and asked myself 'why don't I do this all the time?'. It's why I started blogging in the first place! Since then (three months ago), I've been following that mantra and must say I am enjoying my blog again and less stressed about it! Anyway thanks again for a great post! I've been a silent follower and admirer of yours for years! Thank you. I really needed to read this on blogging today. Love the pics you had in this post. Thanks for sharing. thanks for the nice recipe. i am a little bit confused about the layers. on the pictures there are four layers and in the text there are only three layers. do i have to produce more of the dough to get four layers like in the pictures? 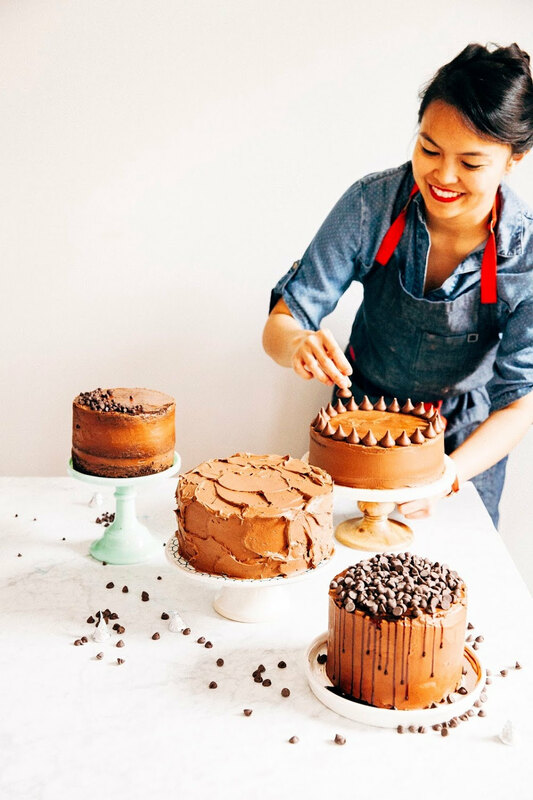 "This recipe actually makes a three-layer cake; I baked mine in three 6-inch pans, divided two of the cakes in half to create four layers and froze one layer for a later recipe that I'm working on. I've included the instructions for three 8-inch pans, so don't be confused if your cake doesn't look exactly like mine."